I’ve been taking an August break from the blog as I embark on some travels. Wherever I went, however, I discovered rather wonderful examples of the ‘positive framing’ technique that I discussed in my final pre-holiday post. What I was saying was that, even if you have some rather negative things to say, you can still make a positive impact buy applying positive language. The first example came up on the train to Edinburgh for my visit to the Festival. How irritating do you find those signs listing all the different (sometimes unmentionable) things you are not allowed to throw down the loo? So well done Virgin Trains for not irritating me and actually making me want to get involved in keeping their plumbing clear. Security was tight in Las Vegas and David Copperfield had the additional concern of not wanting us to film his illusions. He achieved this by engaging us directly – asking us to take out our phones and send him an email. 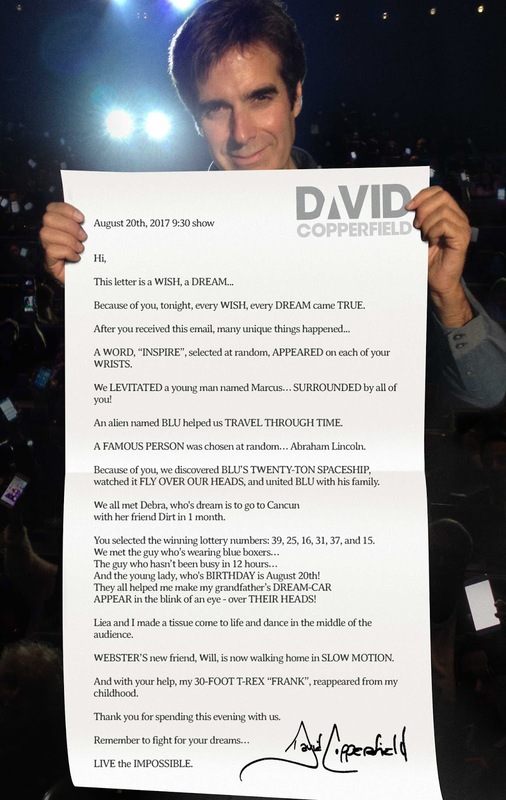 This created some interesting interactivity on the big screen and he then sent us an email predicting everything that was to about to happen in the show. We had to promise, though, not to look at it yet (that would spoil the show for us). Indeed he asked us, while our phones were in our hands, to now put them into a rather beautiful box on the table immediately in front of us. What is usually a nagging chore that washes over you had become a pleasure! Finally, I am indebted to behavioural economics guru Paul Craven for a most charming example of asking people not to use their phones – it’s what Paul calls a ‘nudge’. You simply must end on some positives, so see if you can slip ‘Lessons Learned’ in before ‘Achievements’. If you really can’t, then add a short, sharp and positive over-arching ‘Call to Action’ at the very end. Many of the post-grads, meanwhile, were acutely aware that they had not been able to fulfil all the requirements of the pitch they were giving to join an incubator programme. Their instinct was to keep quiet about those elements and hope no one noticed or enquired. 1) Leave the ‘missing/lacking’ items in your agenda so it is clear that you are not hiding from them. 2) When you get to the part about plans going forward come back to those ‘missing/lacking’ items and stress that these would be among your first priorities when you join the programme. Ideally, explain how much more effectively you will be able to address those issues at this later stage. I am conscious that there is scope here to get into the realms of ‘spin’, if not actual ‘BS’. But I firmly believe that these examples qualify neither as spin, nor BS. They actually fall within the more general practice of using strong language and positives when communicating. Specifically, these examples also demonstrate that the presenter has learned the lessons/understood what was needed, together with how they are going to apply and prioritise those learnings in the future. 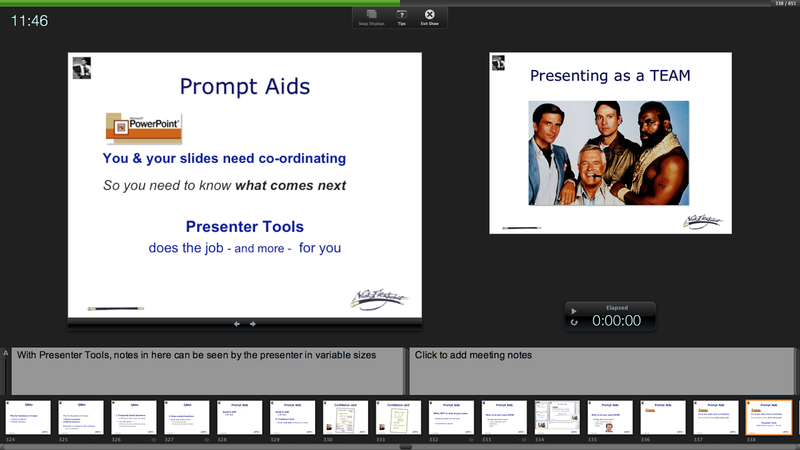 There is a tendency among most presenters when using visual aids – in particular PowerPoint – to display a slide and then start talking about it. The result is that their presentation is then being driven by their slides – the visual support has ended up in the spotlight! Presenters need to remember that they are the show – anything else is simply to help them to deliver their presentation and the audience to understand it. 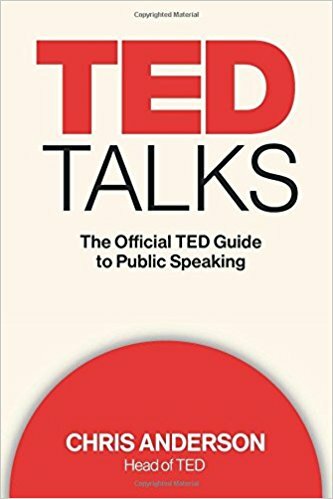 Hence the advice from Presentation Skills coaches such as myself: “Say it, then show.” The perils of doing the opposite – showing, then saying - become all the more acute when a presenter displays a list of bullet points, or a selection of visual images, all at once. This means that the presenter loses any control of where the audience’s attention is directed, as they will inevitably start reading ahead. Most, but not all, slides therefore need to be displayed in a series of ‘builds’ so that the audience is looking at the point that the presenter is currently talking about. Part of the reason for presenters taking a back-to-front approach to say it, then show is that they are often uncertain as to what comes next and use the appearance of a slide as their own prompt. To make an impact you must know what is coming next – so that you can ‘cue’ the reveal appropriately. 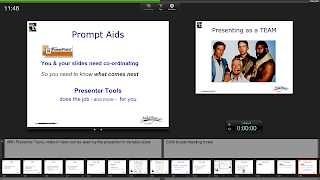 This is made easy for you with the ‘Presenter View’ (aka Presenter Tools) facility that is built into Macs and is increasingly available on PCs as well. For me, this is the most valuable tool to any presenter as, rather than simply displaying the slide currently being projected, it also displays the next slide, the entire run of slides (enabling you to jump seamlessly to any point in the presentation) and other features such as Notes and a clock. Finally, in order to make the say it, then show principle work to best effect you need a slide changer – and one with which you are completely comfortable, so preferably your own. And be sure to practice – cueing is, after all, about timing! For effective communication, Prime Ministers and business presenters alike need to let a little light shine in on themselves. How to create an impact as you close your presentation – or kill the impact with a simple slip! As I always say, Opening and Closing are the two most important parts of any presentation. Aside from being the elements that audiences are most likely to remember, your opening is key to engaging your audience so that they listen, and your closing is where you spell out what you want them to think and do as a result of your presentation. So how do you create a real impact as you make that all-important final ‘Call to Action’? You could display a slide listing the key points of your presentation. And if you restricted those points to three (exploiting the ‘Power of 3’) and kept each to a one-liner, it would probably be quite effective. But consider for a moment how much more effective your conclusion could be if you forgot the bullet points and worked with a blank screen. At this point in almost any presentation you are usually asking your audience to do or believe something. How much better is that going to be if it comes directly from you – with full-on eye contact – as you are seen to speak from the heart, rather than via a bunch of bullet points? Blanking the screen is easy in PowerPoint – you simply press the B key. Let me conclude by pointing to a way that many people quickly kill any concluding impact they may have created, with a simple slip of the keyboard. They display a slide showing either: three short key points (quite good): ‘Thank You’ (not so good as this should be spontaneous); or ‘Any Questions’? (not so good either as Q&A are much better positioned earlier so that you can control your climax). 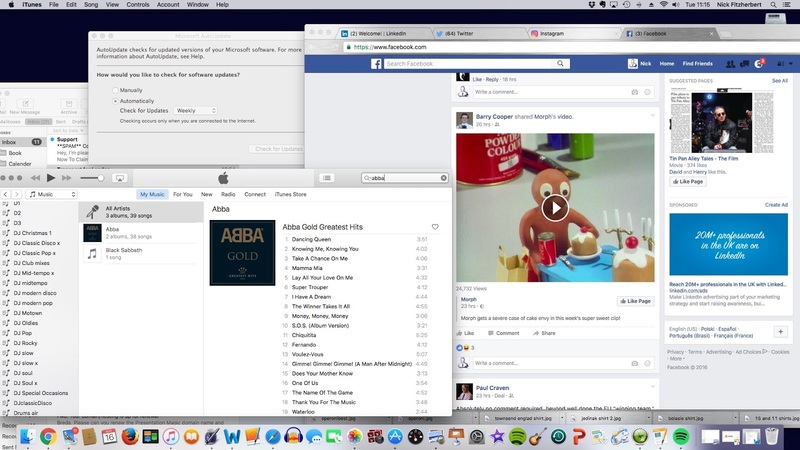 Then they click on further, crashing out of the slide show and revealing their desktop – complete with latest emails, overdue software updates and their iTunes library, probably with Abba’s greatest hits on prominent display. Any impact they may have created is going to be very short-lived and no amount of fumbling is going to make for an effective recovery! How can you avoid crashing out of slideshow mode? Make yourself an ‘end slide’, ideally to display after you have delivered your Call to Action to a blank screen (using the B key). This could simply be a copy of your intro slide; or it could be an abiding image that underlines your Call to Action; or it could list your contact details. Having created the end slide, make a duplicate, so that you have two end slides and even if you press too far no one gets to see your desktop. 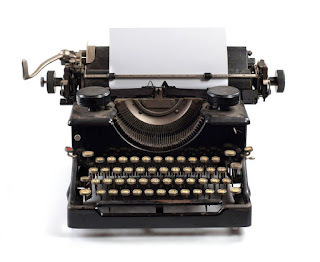 There is always a debate when constructing business presentations – to script or not to script? There are many pros and cons on both sides. With scripting you run the risk of the presenter just reading it out. Even if they memorise the script it is likely to come over as stiff, too pre-prepared and lacking in spontaneity. 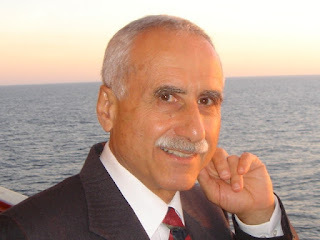 Equally, one of the biggest ways in which many people let themselves down is that they don’t really know what they are going to say – they meander and repeat themselves in a way that would be deemed normal for a general conversation but unsuitable for a presentation where people have taken the time and trouble to gather and listen. Furthermore, it will almost certainly lack any real focus or impact, so may be a waste of (everybody’s) time. I therefore tend to avoid talk of actual ‘scripting’ – except for the opening and closing, which I stress are the most important parts of any presentation. As you open you need to get straight to your big agenda-setting point while also engaging your audience. As you close you need to send your audience away with a crystal-clear rendition of what you want them to remember and do as a result of your presentation. Your opening and closing therefore need to be both scripted and memorised – so that you are concise, word-perfect and can give full-on eye contact at the most crucial moments. In between you can afford to be a little more relaxed and informal. Dan Gilbert thinks it’s not either/or. First of all he writes a script for his talks (being careful to use spoken English). But then, when I deliver them I don’t stick to the script I wrote. So why do I write them? Because writing a story is how you find out where the holes are! A great talk is both scripted AND improvisational. It is precisely like a great jazz performance: First, the opening and closing are always completely scripted; second, the general structure is fully determined before the first horn blows; but third, what makes jazz interesting and captivating is that in the middle there is always some point (or several points) in which the player can go off script and spontaneously create something that captures the mood of that particular audience in that particular room at that particular moment in time. The player can take a few moments to do this, but he must always know when to come home, and he must always know where home is. A totally improvisational talk is like free jazz: an utter abomination almost every time it happens. A totally scripted talk is like a classical music concert: intricate, deep, and flawlessly executed, but often predictable enough to put the audience to sleep because they know from the start that there will be no surprises. 1. A great talk is both scripted AND improvisational. 2. The opening and closing are always completely scripted. 3. He must always know when to come home, and he must always know where home is. I do, however, love the references to free jazz and classical concerts. Let’s put the old ‘93% myth’ on the impact of communication to bed once and for all! 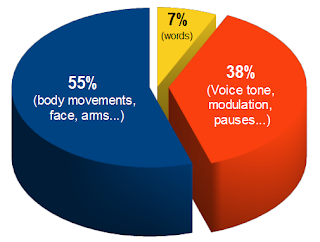 We’ve all heard it so many times: “Only 7% of the meaning of what you say is in the words; 55% comes through body language, and vocal tone and modulation account for the remaining 38%”. And the formula has been perpetuated for more than 40 years through word of mouth, unscrupulous trainers and, of course, the internet. Stop and think about it for a moment. If the ‘93% myth’ were true, Shakespeare would surely have had Mark Anthony calling on his Friends, Romans and Countrymen to lend him their eyes rather than their ears. The telephone would be a fairly useless tool. The radio industry would be out of business and, would there be much point even in reading? So what gave rise to the 93% myth? It all goes back to the 1960s when Professor Albert Mehrabian, based at the University of California, conducted research into body language and non-verbal communications. The focus of his study was discovering how emotion was communicated. His tests would therefore include people saying something like “that’s nice”, but in an angry tone of voice or with threatening body language. Please note that this (7/55/38%) and other equations regarding the relative importance of verbal and non-verbal messages were derived from experiments dealing with communications of feelings and attitudes (ie like-dislike). Unless a communicator is talking about their feelings and attitudes, these equations are not applicable. There you have it – from the originator himself. Clearly body language and vocal tone play a crucial part in effective communication, but these are to enhance the words that must – after audience focus - remain at the top of the communication hierarchy.